Transparency in Marketing: "The Honest Economy"
I was inspired by a TED Talk by Marcus Sheridan, titled "The Honest Economy." I’ve long admired Marcus’ tenacity regarding breaking down big ideas into simple, actionable items. Late last year, Marcus inspired a post about his presentation on the “Culture of Inbound Marketing.” He asked the audience members to explain what a blog was to them. After a few examples from the audience, Marcus’ answer: a blog is simply formatted information. "What does formatted information have to do with transparency?" McDonalds of Canada launched a forum for consumers called “Our Food. Your Questions.” Anyone can ask anything and they guarantee a response. Sometimes the response is a simple statement, other times it’s a helpful video explaining the answer. Someone inevitably asked, “What’s the secret Big Mac sauce?” And McDonalds answered. You can find out how they responded by watching the talk below. In another example from McDonalds, Marcus reiterates that while the fast-food industry is often the target of harsh criticism for its high-calorie menu options, there is an opportunity to turn the negativity around. How? By educating consumers. Marcus talks about how McDonalds is among those fast-food franchises that are choosing to include the number of calories in their value meal menu listings, making it EASIER for customers to review their options and make an educated choice before buying. CarMax takes the negative stigma of the “used car salesman” out of the sales process by certifying used vehicles, offering no-haggle pricing and guaranteeing your purchase. In his presentation, Marcus tells the story about how he purchased a vehicle through CarMax because he was completely satisfied with the level of trust he felt in the sales process due to the honesty of the content. Watch the entire TED Talk video here. It’s absolutely worth 12 minutes of your time. 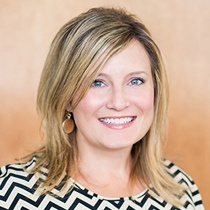 Vanessa Knipper is the Director of Marketing at Kuno and enjoys writing about social media, inbound marketing, branding and digital marketing trends. She's an avid reader of tech blogs and industry news and shares regularly on Twitter and LinkedIn.